1823 Moved to 28 Herne Hill. It was built in 1801 and demolished in the 1920s. There is a plaque in what is now No 26 Herne Hill. 1832 Given a copy of Samuel Rogers’s Italy, contained illustrations by Turner. 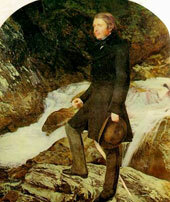 1835 Ruskin family visited Venice. 1836 Attended lectures at Kings College by Rev Dale. 1837 Attended Christ Church, Oxford. 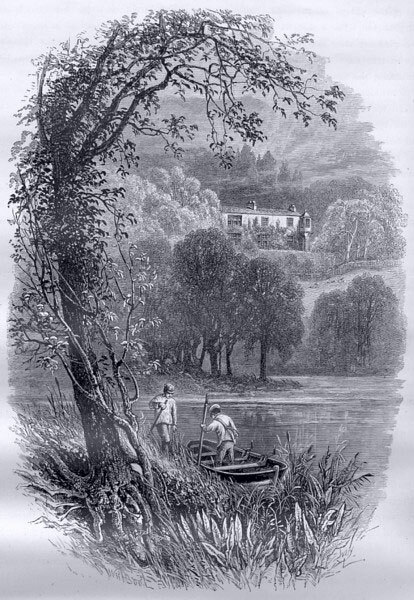 1839 Ruskin family bought their first Turner (Richmond Hill). 1842 Oct: Family moved to 163 Denmark Hill. 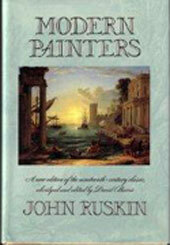 1843 Modern Painters published. It championed JMW Turner. 1851 Pre-Raphaelitism published. Met John Everett Millais. Ruskin moved to No 30 Herne Hill. 1853 Visited Scotland with Effie and Millais. Painted by Millais there. Ruskin moved back to 163 Denmark Hill. 1858 Met Rose La Touché a drawing student aged10. 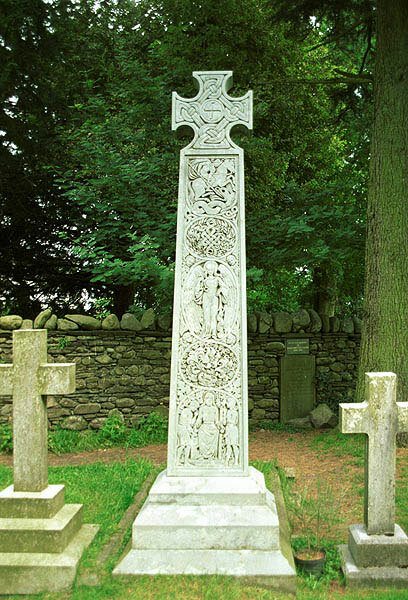 1864 Father died and left his fortune to Ruskin. Proposed to Rose La Touché (now 18) but was asked to wait three more years. Ruskin sold 163 Denmark Hill (later became Ruskin Manor Hotel - and demolished in 1949. 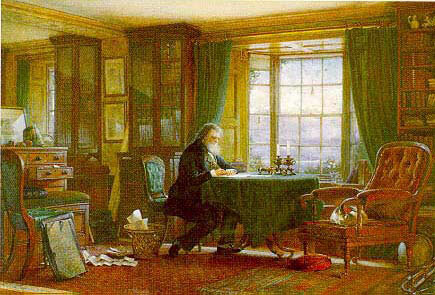 1881 John Ruskin in his study at Brantwood by WH Collingwood. 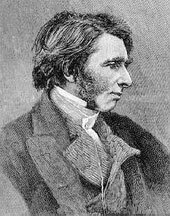 After this Ruskin rarely spoke up to his death. 1907 Ruskin Park opened in Camberwell near to his family home.